I suspect writers aren’t the only ones with too much time, too little to do. Free Time? What is this thing called Free Time? When my grandson Boo complains that he’s bored, I just want to take a deep breath and be bored, too. Relatively simple, anyway. 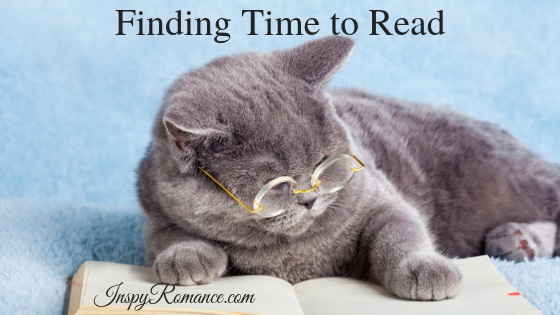 So how, when and where do I make time to read? I don’t work on Sundays, even when I have deadlines. I have a number of chronic health problems and I find I need to be “told” I have to take time off. That God is the one telling me helps, LOL! I usually wake up from my nap before my disabled husband, so I spend that time reading. My husband has always been the main driver, and although that’s changed somewhat since his double stroke, he still loves getting behind the wheel, and I don’t. Happily, I don’t get motion sickness so I have no problem reading in the car. I always try to have my Kindle or a paperback with me. Whether I’m on the treadmill or lifting hand weights, I’ve got earphones in my ears. I usually use exercise time to listen to business and self-improvement books or the occasional memoir. I know some people don’t care for books-on—hmm, what is it now? Yes, I’m old enough that my first thought was books on tape. Ha ha! Now I download books to my cell phone which attaches to my Bluetooth earphones. I remember a time before <<cough>> cell phones, never mind books-on-tape. In any case, listening to books helps me forget that I hate to exercise…which I really, really do. Dishes and laundry have this nasty habit of piling up. What’s with that? It does, however, give me the opportunity to splurge. 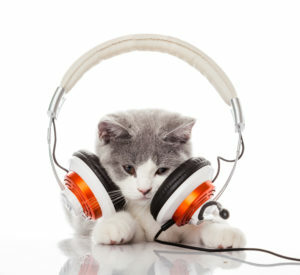 This is when I listen to the latest thriller or a classic, once again using audiobooks. I especially like listening to psychological thrillers this way—as long as I don’t break a glass by squeezing it too hard when something freaks me out. I have a Kindle app on my Samsung for those times when I don’t have a book with me—in the doctor’s waiting room, when we’re a little early for choir practice or at the park with the grandkids. Depending on the time of day and how I feel, I’ll either read something business-related or relax with a novel. As I said earlier, I usually work late into the evening…technically early morning. So to get my brain from “I’m working,” to “I’m supposed to be asleep now,” I have a very focused ritual. I spend the first few minutes considering what I was especially grateful for that day. I try to come up with at least three unique things to thank God for. I then have my focused prayer time. After that, I’ll turn on another audiobook—no business books or thrillers now, however. This is when I’ll listen to the latest and greatest or a classic. 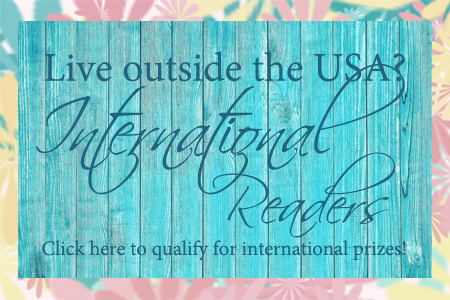 Now that I’ve shared some of the ways I find more time to read, I’m dying to know yours. Do you have any secrets I should know about? Go ahead—spill! I’ll give one commenter a copy of…well, it’s a secret, but I can promise you’ll enjoy it. 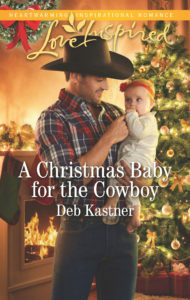 My next Harlequin Love Inspired, A Christmas Baby for the Cowboy, will be out mid-November and is available for preorder now! Hi Deb- wow, you sound like a night owl!! I get up early and go to bed early- which works with kids, work etc. I am also able to read in the car and will often have my kindle with me. If I am waiting…I pull out the kindle and read for a bit. Our boys usually have a book with them, so they can read also while we are waiting- usually for my husband to finish chatting after a meeting!! 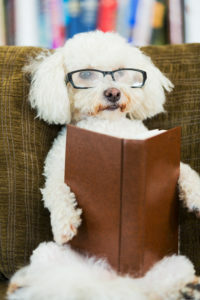 I too read before going to sleep- it is a great way to wind down at the end of the day. I have also been known to sit on a step stool in front of the oven as dinner cooks and read…the kids are playing with lego, so I don’t feel bad reading:) My husband and kids love audiobooks, so we often have audio stories going. I always wanted to be an early bird, but alas, my body clock says night. I read a lot of the same times/opportunities as you! Right now I have an extra opportunity while nursing my baby! That’s awesome! I remember those precious days. Hi Deb! Thanks for sharing your tips on finding time for reading. As a retiree, even though I run Oma Daycare, I read whenever and wherever I want to. I prefer to read early morning when my mind is fresh, but reading also helps me fall asleep. I primarily read on my iPad or cell phone. I am not fond of reading more than one book at a time or using audio books; but I do switch between genre (romance, mysteries, historical fiction, and occasionally non-fiction). Read enough of the classics and certain best sellers, as an high school English teacher. Before the age of eBooks, as a busy young mom of two rambunctious boys, pastor’s wife and teacher, every summer I set aside a reading day. Breakfast was on the kitchen table, lunch in the frig and my boys knew not to disturb mom unless they were bleeding or dead. My oldest son still teases me about those times. Win win – mom read a new release by her favorite author / boys learned some independence. I guess that would be my reading tip – one I shared with my English classes, set time aside for reading. I know todays’ students are taught to read 30 minutes a day; but for me I prefer to have one day a week where I can read a book from start to finish. Best wishes and Happy reading and writing. 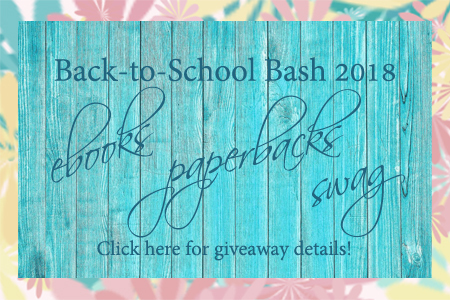 I love the idea of setting aside a half-day or day just for reading! I’m retired so I have plenty of time to read. I have health issues also and reading is something I can do that doesn’t increase my pain levels. I’m thankful there are so many great books available now that are uplifting and inspiring. I mainly read on my iPad but listen to audiobooks, Bible studies or sermons while cleaning or walking on the treadmill. It does lessen my dislike of these activities. I hear you. I don’t care what anyone says, I will NEVER like to exercise. I just have to do it. Listening to an audiobook helps. When people tell me they don’t have time to read, I say just take 15-30 min a day. It’s better than nothing. I volunteer in the Church Library and have for almost 40 years, next year. My reading time is at night before I go to bed and Sunday afternoon after nap-time. I read fiction for 30-60 minutes before bed every evening on my old-school Kindle without a backlight. Everything else is gravy. When we’re traveling, I make sure to have a few books (or better yet, novella collections) downloaded to my phone as well, for those random times when I have a few minutes like while hubby is fueling the vehicle or he has a quick errand! When we’re camping, I often read for hours, and a book a day isn’t unusual. The last couple of years we’re more likely to take the grandgirls camping with us, and then my reading time is pretty much zero (except for picture books and now, early chapter books). My iPad always has a nonfiction on the go, but my downfall is that I don’t have a solid plan for when to read NF. Some of these are business books, and I need to schedule in time, but I simply haven’t done so. And lastly, my daily walk is always accompanied by something audible on my phone. Sometimes a fiction audiobook, sometimes a devotional or writing book, sometimes podcasts. I go in cycles on those. Right now I’m catching up on a couple of my favorite podcasts, since I get behind when I’m in long audiobooks! OMG, I had such fun reading this post. That Excercise part cracked me up. Lol, you go girl! Whew, I had to take a deep breath after reading your schedule, Deb! You are an inspiration to us..as well as your books. Love that new one!! Recently, I’ve started listening to a podcast while walking and I find that it does help the time pass more quickly but maybe I should start listening to books instead. I like reading on my iPad when I’m on the elliptical. Can’t seem to get into audiobooks. I like to listen to my books while driving! I listen to audiobooks while walking my dogs and doing chores around the house. I haven’t tried audiobooks, but I need to. Listening to a great book might keep me exercising too, which I hate. I used to read in the pickup line at school, back when our son didn’t drive himself. I also read during baseball or basketball practice. I mean it was just practice. I watched the games. I always treat myself to reading a book when I meet a book deadline.